As a character, the writers rarely focus or center an episode on Erica. 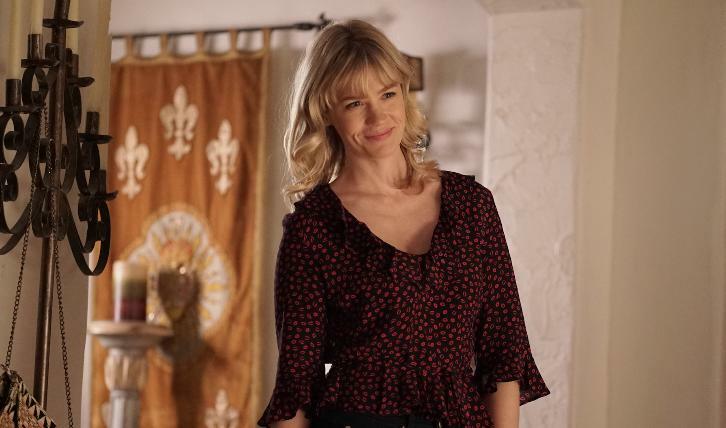 In fact, aside from her interaction with Mike in season 2's 'Smart and Stupid', The Last Man on Earth has never explored her backstory or past. While 'Special Delivery' doesn't provide a solution for that problem, it does give Coleman more screentime and presence. The outing centers on Todd creating his product in order to ship it to Erica and produce a baby. Unlike the previous episode, Todd falls into a state of frustration instead of anger. Unfortunately for him, his outburst causes Erica to reevaluate her decision of having a child with him. While there will likely be a positive outcome, the writers deserve credit for not following a predictable route by resolving the conflict at the end of the episode. This creates a legitimate problem and leaves the audience to wonder if Erica will have a baby with him or not. Despite my praise, nothing stood out in this plot that made it particularly enjoyable or amusing. While pregnancy is an essential part of the series, I wish it wouldn't take center stage so often. Episodes focusing on post-apocalyptic themes like death or survival are far superior. On the other hand, the chemistry between Erica and Melissa was a nice addition to the installment. 'Special Delivery' introduced a new dynamic that the writers have rarely explored. Neither character has gotten much to do this season, so it was a pleasant change to have a storyline focusing on their budding friendship. For once, Melissa got to showcase her outgoing side instead of being stern and aggressive. Likewise, the bromance between Todd and Tandy is always welcome and arguably the strongest part of 'Special Delivery'. Moments like when Tandy spreads lotion on Todd's arm emphasize how great this duo works on a comedic level. In the end, Mike Miller's return overshadows all these plot points. The last twenty seconds of the outing are easily the most shocking and engaging. The Last Man on Earth is always at its best when they bring in a character outside of the main group. While the reintroduction of Mike threatens to ruin the emotional ending of the season two finale, I'm curious and thoroughly excited to learn how he got to Mexico and the way he managed to survive the virus. So, while 'Special Delivery' isn't an amazing episode, it does build up to a wonderful closing act. Tandy isn't bright, but don't tell me that he doesn't know that women ovulate. The "fake news" line was pretty unfunny. But, the "3 fattest presidents" one made me laugh. So, did Mike never have the virus? Did he find the cure? I still don't get why Todd and Tandy kiss. I wonder if Mike returning means that we'll see Glenn and Pamela at some point. Will Forte is a legend. It takes commitment to shave half of your face. Not once, but twice. What did you think of 'Special Delivery'?